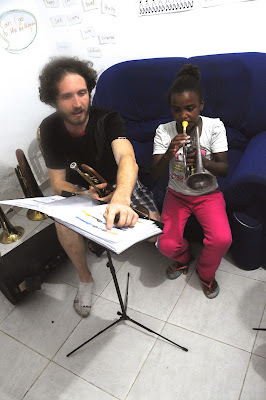 The Favela Brass Project: Super Keen Students! We finished enrolment for the course this week with 31 children. 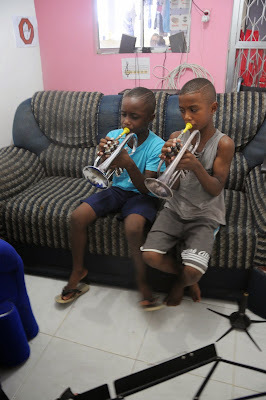 Although the majority are from the Pereirão favela where the school is located, we also have a small group of 7 children from Fogueteiro, a neighboring favela. Yesterday they made the 45 minute walk here in the rain. Anyone who understands the general attitude of Rio residents to rain will understand the significance of that!